FLORAL WELCOME MAT home decor, jewelry, decor, decorations, electronics, fountains, floor mats, art glass, vases, garden essentials, fireplace screens. Here's a bright and cheery doormat that will brighten your day, everyday! 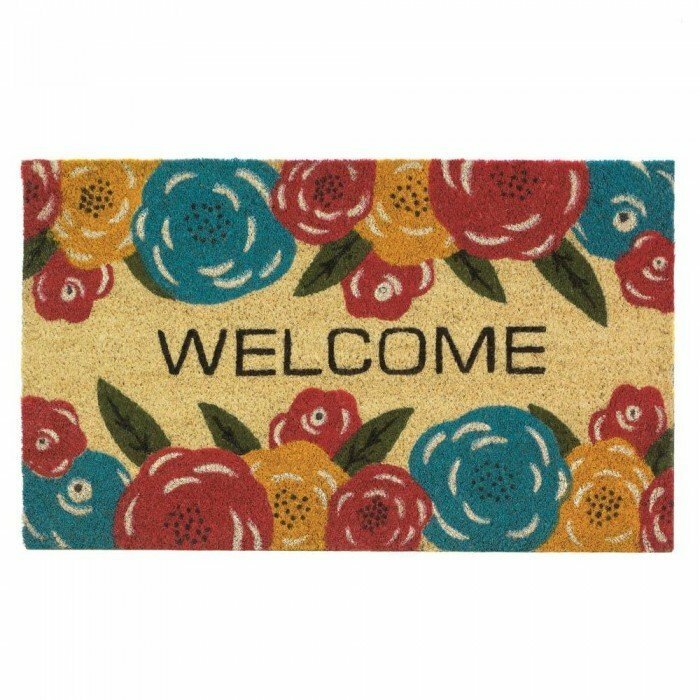 This coir mat helps trap dirt and debris from the bottom of your shoes and features pretty pink, yellow and blue flowers along with the word "Welcome". Material(s): COIR PVC. Weight 4.4 pounds. Dimensions 30" x 18" x 0.5."